With GTK, Glib and a few libraries/toolkits sending warnings at widget level, we recently saw people being unable to log in, or getting their system crawl. In Fedora a user reported his .xsession-errors had gotten larger than 500GB. Most of the information in that file was spammed by a single process and the output was irrelevant to the user himself. In the upcoming MDM 1.8, the session output is limited to 200KB (between 2000 and 4000 lines of logs). This limit is enabled by default and the user can disable it in the MDM preferences. When .xsession-errors reaches 200KB, a footer is appended by MDM explaining that the limit was reached and how to disable it. Another option coming in the MDM preferences allows the user to filter the session output. This option, which is disabled by default, prevents warnings and errors from GTK, Glib, Gio, Gobject, Glade etc… from getting into .xsession-errors. zomg, I was not aware of that amount of spam. I just peeked in mine, which is currently at 56MiB and contains plenty of these silly GTK warnings that I hate so much. in my startup commands in order to tame that beast the poor man’s way. I have *never* been interested in the contents of ~/.xsession-errors in many years now. If I want to see program-specific errors and warnings, I always open the program from the command line and see what it barks at me. So I am fine if that stuff is not logged at all, i.e. written to /dev/null. But I thought, why not write that to /dev/random instead, so Linux’ random pool gets a tad more noisy input? This is fine as long as no root process writes to ~/.xsession-errors: If it does, Linux’ entropy counter is actually increased which should only be done for true random input. Wow, I’ve never run into this before. I wish one of you guys had been working for the SBS Server 2008 team. Microsoft talks about the defaults for SBS Monitoring of use all available RAM and disk space as if they are a performance feature. I guess that takes nagging to a whole new level! Maybe a nice feature (if possible) would be to periodically uniq the file? 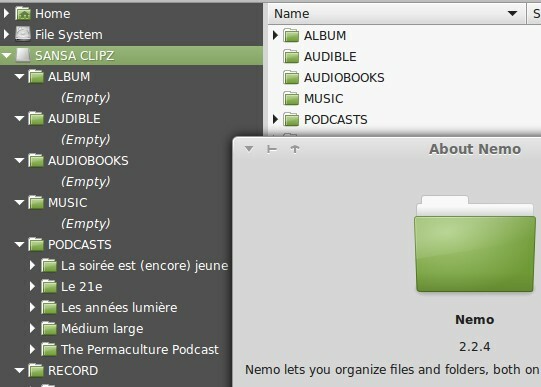 Hi Clem, can you include “gnome-system-monitor” 3.12.2 in Linux MInt 17.1 Rebecca? It is a more up-to-date version of a useful program. I mean, perhaps you don’t want to change many programs from 17 to 17.1. But why do you keep the old versions of some programs in the first place (Mint 16,17 have gedit 2.30, an old gedit version without some of the new features). In most cases, when we provide an older version, it’s because *we* feel the latest version falls short in some area or other, so we pick the best version available, in our judgement. This is the case with gedit. As for gnome-system-monitor – version 3.12 probably requires the equivalent versions of libraries that it uses (like GTK, GLib for example) which will *not* be updated in 17.1, other than major bugfixes. When you mentioned it I thought you had a reason, a feature that landed in 3.12 or an important bug fix you wanted. Is that the case? Otherwise as mtwebster said, GNOME isn’t great at retro-compatibility, upgrading some of it usually means upgrading all of it. Anyway, there’s no plan on upgrading anything based on the fact that there are newer versions out (3.14 would qualify as well in that case). That said, any bug fix, any new cool feature can be looked at and make a strong case for individual backports. So if there’s something cool you’re missing in 17.x and it’s a backport away let us know and we’ll consider it. Re-gedit, that’s different, that’s a special case. That program is frozen at version 2.x. Changes in the UI, and in the way the search works in particular were considered regressions. I’m not sure how you are planning to implement this, but would it make sense to have the log show that last however many lines fit in the size limit as opposed to simply discarding additional logging at that point? If there is an easy way to drop off the beginning x blocks of the log file this might be workable. I am thinking that there might be a reason to want to know what errors are currently being logged as opposed to what was logged at the beginning of the session in order to be able to take a stab at whatever remidial action might be needed. Of course if there is something logging errors in a run-away fashion, as I saw with nemo in my issue 749 there, this might make CPU hogging even worse. Yes, that would be the logical way to do it. If you can only keep 200k, why would you want that to be the last 200k before it got full, instead of the last 200k, period? I could then tail the last n lines to see the worst offenders. I don’t know if it makes more sense to sort it up or down on the tally, I could see both being useful depending if you wanted to head or tail the file. It might also be useful to timestamp the last occurence of a particular error being logged, but I am unsure how that could be implemented if the errors are not timestamped in the first place. Take my comments with a grain of salt as appropriate, as I am not capable of programming this myself and unsure how useful my suggestions are to those trying to deal with the conditions being encountered. A question for you, what is involved in obtaining the updated MDM in qiana? Do I need to add “backports” to my repository list? Do I need to upgrade to rebecca? It has been a while since this was released and I still don’t see it applied to my qiana system via updates, thus my question. I still show MDM 1.6.9 here. Once I have it do I need to reboot to get it running? Is a restart of X sufficient?